Late last week, 63 participants from 13 countries gathered in Riga for a capacity building workshop on cluster internationalisation. 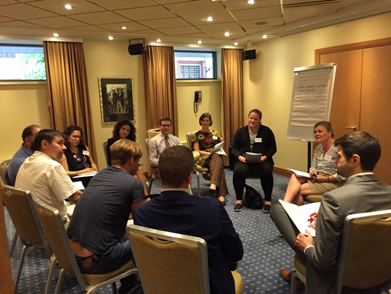 The workshop brought together cluster managers, representatives from Enterprise Europe Network, and policymakers from around the Baltic Sea Region to learn from each other in an interactive setting. Participants discussed key questions from the “Strategic Cluster Internationalisation” framework, got inspiration from several practical examples, and debated a number of boosters and blockers to cluster internationalisation. The workshop is one of this year’s Innovation Express activities – brought to clusters from BSR Stars. 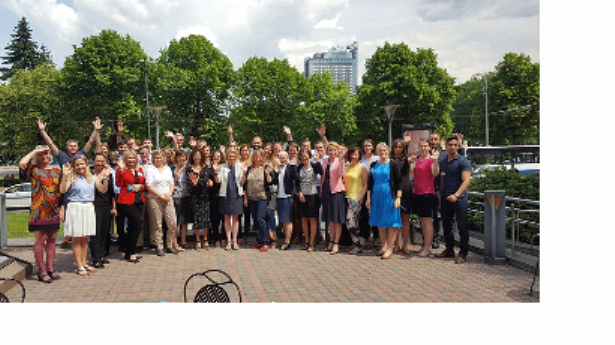 As part of this year’s Innovation Express activities (coordinated by the Danish Agency for Science, Technology and Innovation), Cluster Excellence Denmark and The Ministry of Economics of Latvia organised a “first of its kind” capacity building workshop in Riga, 2-3 June 2016. The workshop targeted cluster managers seeking tools, lessons and practical guidelines to support the development of an internationalisation strategy, or next steps in their international work. A new “Strategic Cluster Internationalisation” tool – developed by Cluster Excellence Denmark – provided the framework for discussion. Cluster managers from Austria, Germany and Latvia provided insights from their experience. Additional lessons learned from previous Innovation Express projects were shared through video messages and a summary of boosters and blockers. Smaller group discussions provided opportunities for lots of interaction and exchanges of insights. The aim of the event was to prepare more clusters (particularly clusters from Estonia, Latvia and Lithuania) for participation in international collaboration activities – including the upcoming cluster matchmaking conference in Warsaw (19-20 September) and this year’s Innovation Express call. The group of participants at the end of the workshop. See you in Warsaw!